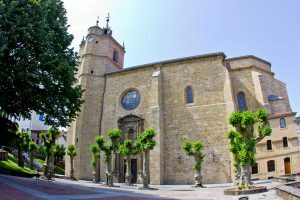 The Church of Nuestra Señora del Juncal owes its name to the appearance in 1400, of a carving of the Virgin Mary in the reedbeds that edge the river estuary. The interior layout of this church is a fine example of the so-called “Basque Gothic Prototype”. Modern Age. 16th century Basque Gothic.